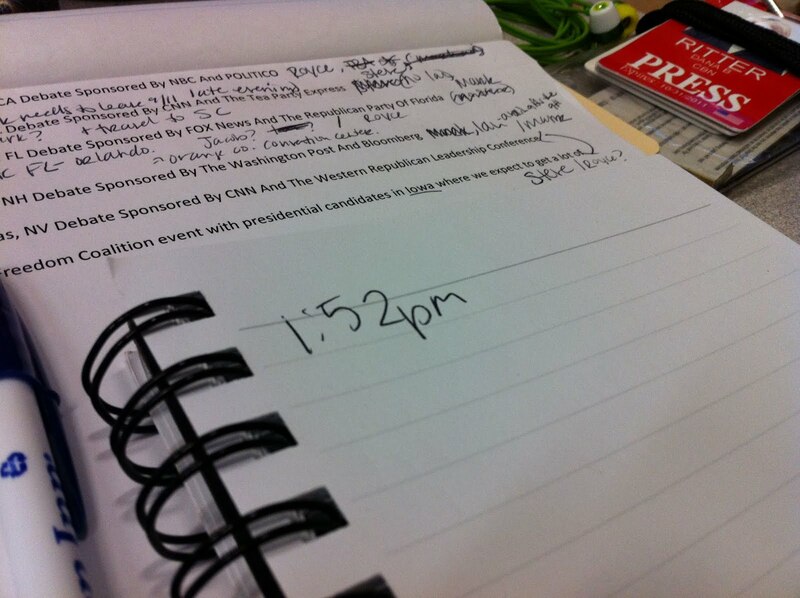 Before I left the building, I wrote down the time. I guess I thought that was important. Seems funny now. I should never package leftovers in glass Pyrex containers. I should probably get rid of said glass containers as to not tempt myself to do so. This afternoon, I was standing beside my desk, talking to my cubby neighbor, and super smart White House Correspondent, Jennifer Wishon when it happened. At first, it was a rumble. I didn’t think much of it, maybe a heavy truck passing by, or a loud helicopter. Then, it continued. My legs instinctively took a step apart, bracing, like I do when I’m playing 2nd base, and it looks like the ball is headed my way. At this point, I could feel the ground shaking under me, it felt like I was on a boat. Because up to this point (for the past 10 seconds) I was wondering if it was something much worse. This is Downtown DC. I was afraid there was some sort of bomb going off nearby. Once outside, I I counted heads. Everyone was there. Phew! I texted my boss to let him know what was going on, that we were all accounted for, and that we were covering the story. I don’t know how long we were out there, but it seemed like forever. Honestly, I was enjoying the sunshine. I texted my husband, to make sure he was okay, and told him to get outside. He did. We waited and waited, and eventually came back inside, realized our phone and internet and other lines we need to make TV happen were okay, so we all sprang into breaking news mode. I was gathering video. Jennifer was frantically writing her package. Ian edited it. Mark and Jerome set up a live shot on the street. Amazing teamwork. I texted my sister and called my mom, once I could get a phone call out, to make sure she knew I was okay. Updated Facebook so our friends and family, worried about Michael and myself, would know we were okay. My brother was on Facebook, so I even had a quick chat with him! I think it made him laugh. They’re saying it was something like 5.8 on the Richter Scale. Whoa. It was crazy. I’m so glad no one was hurt. I’m incredibly proud of the team of people I work with. Especially Jennifer for saying, “Get a camera, and start rolling.” She wins the news spirit stick for the day, for sure. Now, it’s four hours later and the local news is still freaking out. Metro trains are running at 15 mph, and traffic is at a standstill. So, of course, I’m stuck here for hours. Which is convenient, because, well.... I have HURRICANE coverage to plan!! At least the beans are in a plastic container. I promise, I won’t do it again. Ate beans and bagged veggies. D made it home in plenty of time for dinner. Everybody got something to talk about last night.